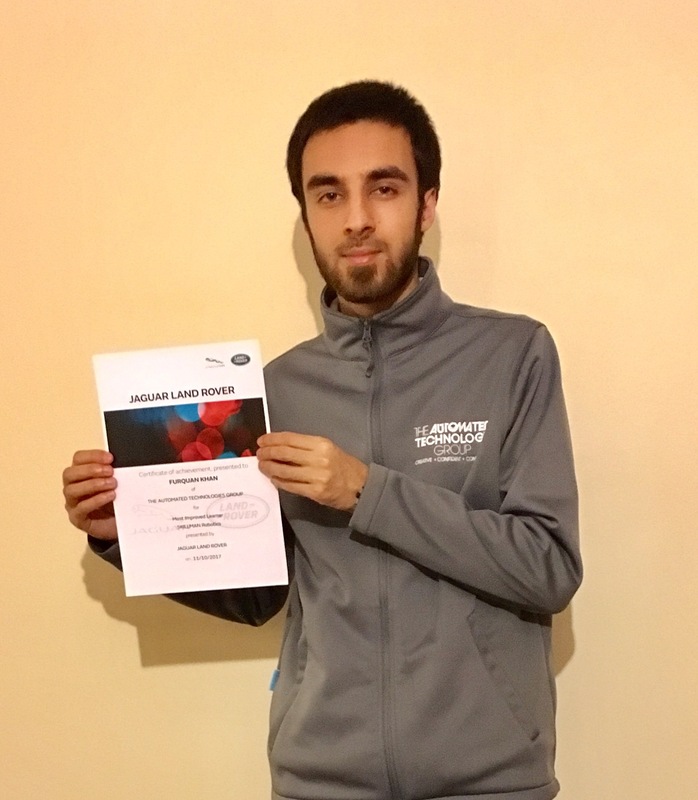 Furqan Khan, Robotics Apprentice at The Automated Technology Group, has received a special award from Jaguar Land Rover for ‘Most Improved Learner’ in recognition of his exceptional participation in the SKILLMAN training programme. SKILLMAN is a Sector Skills Alliance for Advanced Manufacturing for the Transport Sector, promoted in partnership with a team of industrial players –including Jaguar Land Rover, FIAT Research Centre and Scandinavian Airlines Systems – as well as education providers and awarding bodies. The SKILLMAN network aims to detect skills requirements and design educational programmes and qualifications in line with current and emerging technologies. The three main areas of focus currently for SKILLMAN in terms of learning and qualifications are robotics and automated production lines; wireless technologies and Industry 4.0; and composite and lightweight materials.